We have set the following guidelines for the Press to cover the World Bosai Forum. In order to facilitate media coverage at the Forum, the Press are asked to read the guidelines carefully before applying through an application form. Press who wish to cover the World Bosai Forum are asked to fill out the requested details in the attached application form and submit it to the World Bosai Forum Secretariat (wbf2017@convention.co.jp) via e-mail by 4:00 p.m., Wednesday, 22 November, 2017 (JST). Please note that we do not accept applications by phone or at the Forum venue. When the application is accepted, we will inform you of the permission for your coverage by e-mail. Please print this out and present it when you register at the venue. We will inform you if there needs to be an adjustment in the number of people in your media crew or if we decline your application. 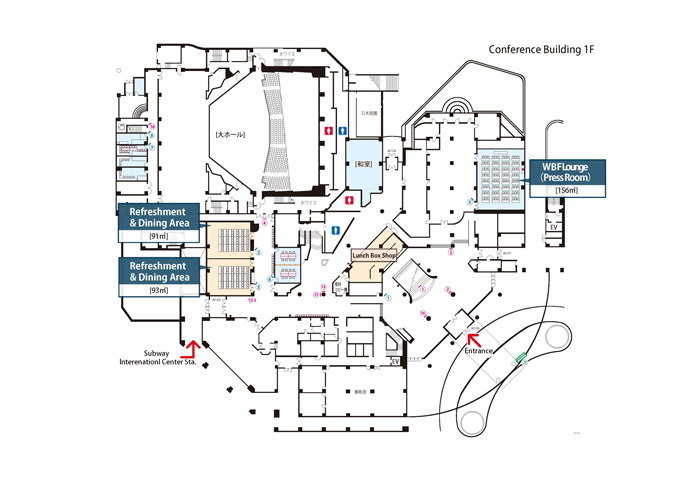 When you register at the venue, please show (1) your photo ID, (2) two of your business cards (in case you do not have, please write your name on the press badge you receive), and (3) a printed-out copy of the e-mail notifying you of the permission for your coverage. We will provide you with the Press badge(s). If you do not show your photo ID, your coverage will not be permitted. We also do not allow coverage by alternative staff. During your coverage, Press are asked to wear the provided Press badges and their own arm badges from their companies at all times. 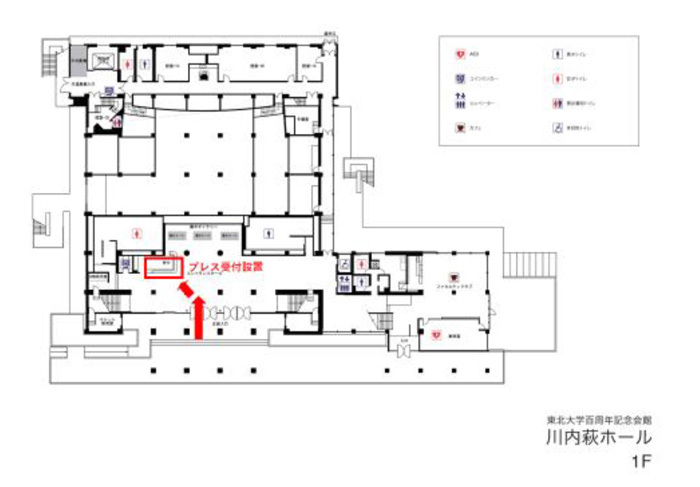 Press registration for the Pre-WBF Festival (25 November) will be held from 12:30 p.m, November 25 at the Press Registration Desk on the 1st floor of Hagi Hall, Tohoku University. 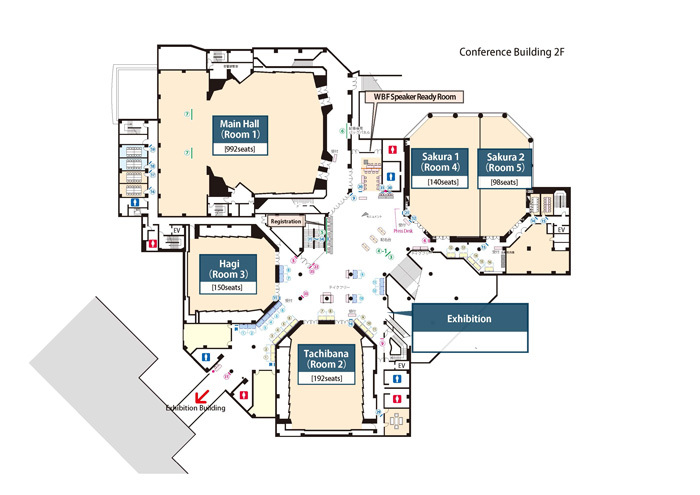 During 26-27 November, Press are asked to register at the Press Registration Desk on the foyer of the 2nd floor of the Conference Building, Sendai International Center (from 9:00 a.m. to 5:00 p.m., 26 November and from 8:15 a.m.to 6:00 p.m., 27 November). 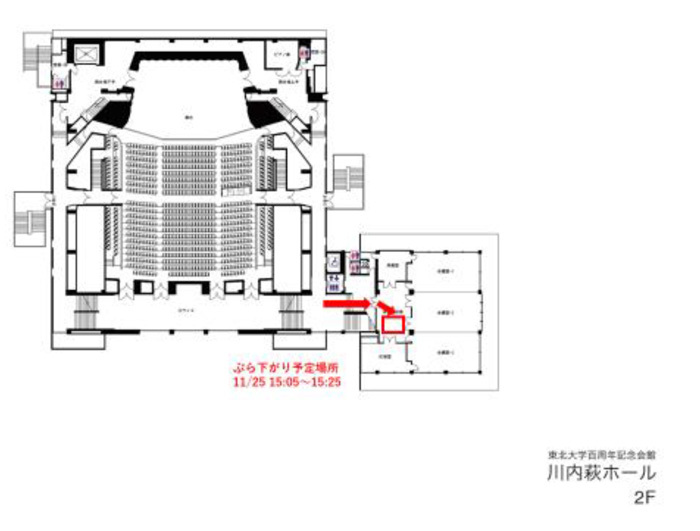 Press registration for 28 November will be held at the Forum Registration Desk on the 2nd floor of the Conference Building, Sendai International Center (from 8:30 a.m. to 1:00 p.m.). Please be sure to receive the Press badge(s) before you enter the venue. On the last day of your coverage, please return your badge(s) to the Forum Registration Desk. There is not a room provided exclusively for the Press, but the space mentioned below can be used along with the Forum registrants. Fax machines, copiers, power supply and telephone lines will not be provided. Please be sure to bring all your belongings with you. Information on its Wifi SSID and password are provided within the Center. If you wish to do interviews, photograph or record meeting sessions, please obtain permission from each session organizer in advance. As for flash talk presentations and exhibitions, please acquire permission from each presenter before your coverage. The Press are asked not to disturb meeting sessions and flash talk presentations. Video cameras should be carried in and set up between sessions. Free parking lots will not be provided for the Press. 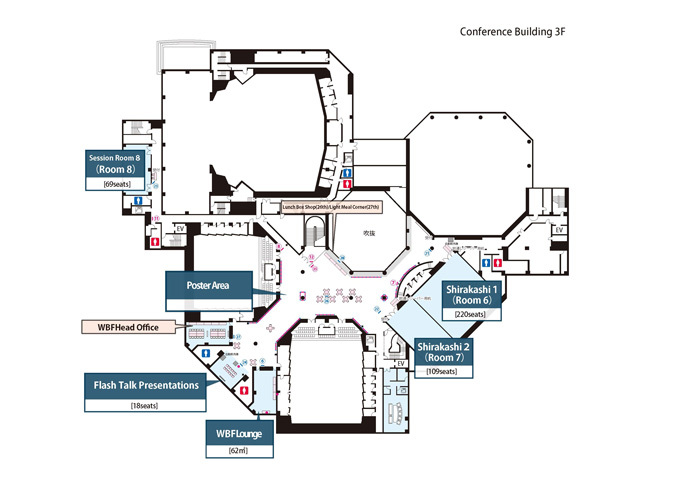 You can use the parking lot (which accommodates 96 cars) located in the basement of Sendai International Center if you pay the cost. It is recommended that you use public transportation. If photographs and videos taken during the World Bosai Forum are used in any media other than those you initially declared in the application form, we may decline your future media coverage. Press interviews and briefings are scheduled as follows. ＊The schedules are subject to change. If you do not follow our staff’s instructions, we may ask you to leave. Press coverage is not allowed in areas outside of meeting session rooms and flash talk presentation rooms. ※For contact information of each meeting session, please refer to the list of sessions.